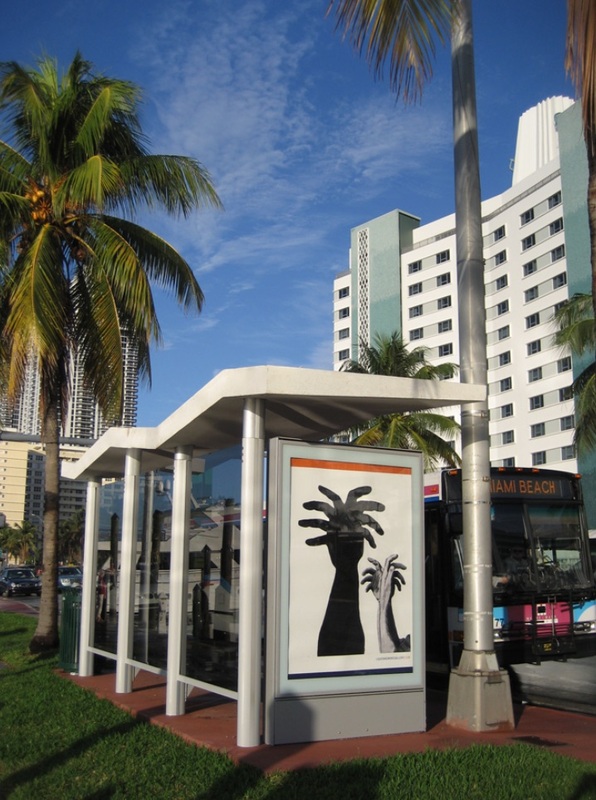 Light & Wire Gallery is pleased to announce a public group project of new works by six artist to take place in Miami Beach during Art Basel and NADA fairs. The exhibition will present work by Ginny Cook, David Horvitz, Lindsay Ljungkull, Heather Rasmussen, Brendan Threadgill, and Greg Wilken. 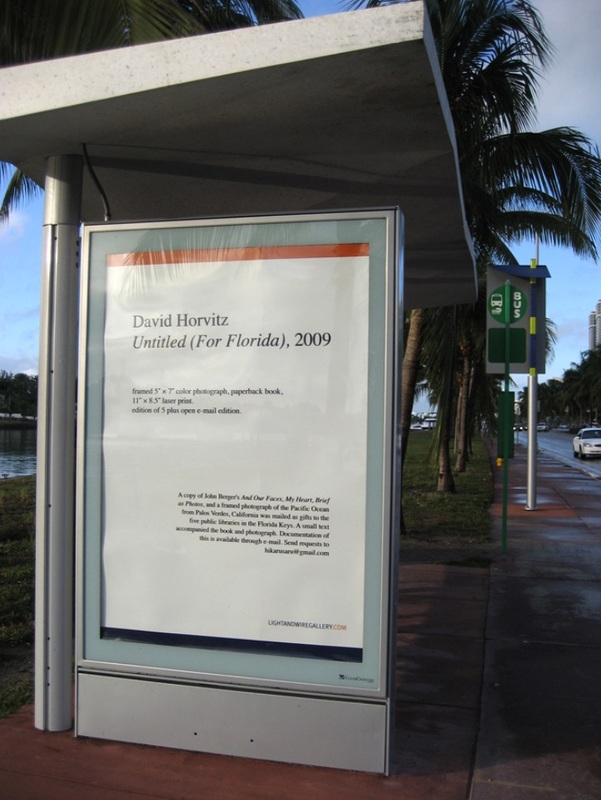 In their strategic locations, these artworks utilize normally benign advertising space to reflect upon the history of South Florida, international commerce, and existing art world structures. 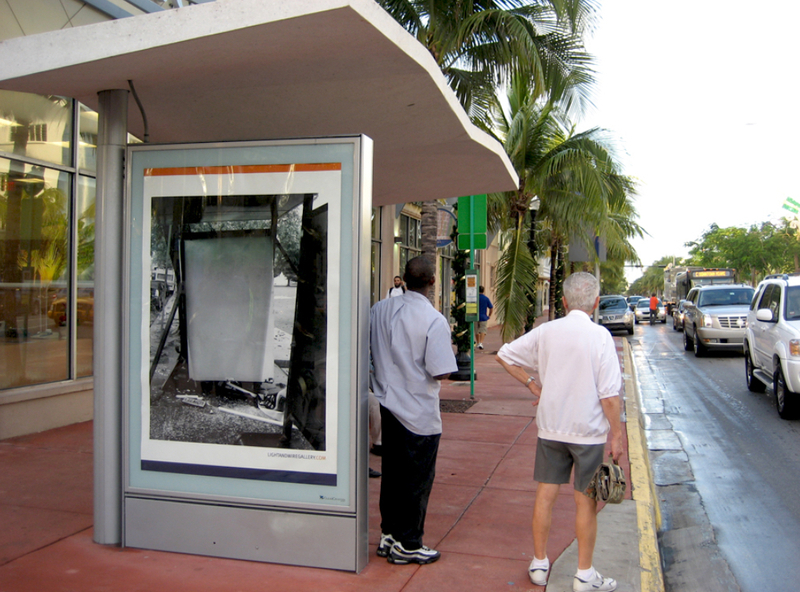 The shelter posters function as a site-specific exhibition on display for one month to passers-by, public transit patrons, and the occasional, intentional, art viewer. 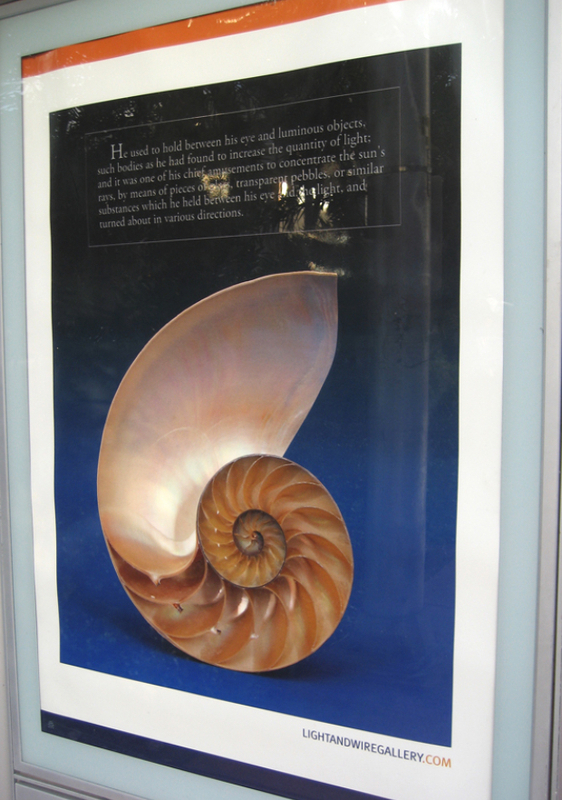 The exhibition route will continue to be accessible by car or bus service during and after the many art fairs have retreated from the city.